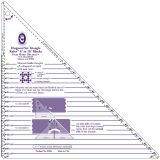 Large Diagonal Set Triangle Ruler - MARTI MICHELL-Large Diagonal Set Triangle Ruler. 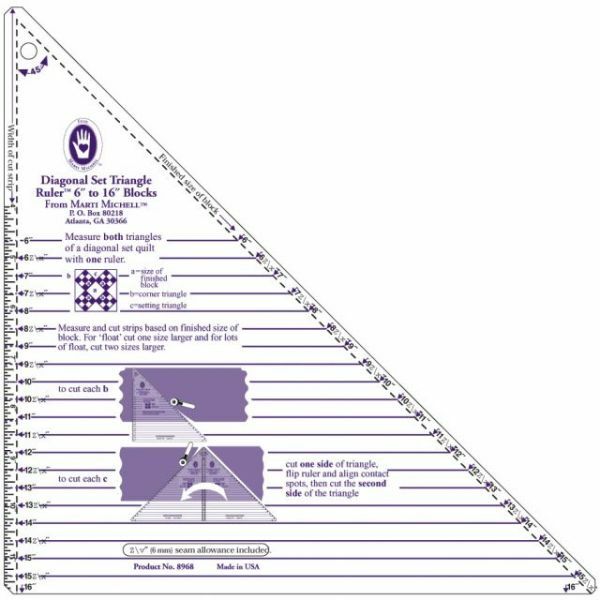 Use this ruler to cut triangles for diagonal-set quilts, borders and blocks! This package contains one 12x12 inch diagonal set triangle ruler with six inch and sixteen inch blocks. Made in USA.